Between 2005 and 2012, the number of remote employees in the United States has increased by 79.7%, according to Global Workplace Analytics. What does this mean for human resource (HR) departments and management? As workers switch from driving to the office to getting out of bed and opening up their laptop, HR has to adapt accordingly. Human resource departments needs a way of collaborating and working with potential hires, new hires, and seasoned staff to maximize collaboration. This collaboration has to extend beyond using email and file sharing programs, because the relationships common to on-site work are lost and forgotten when employees are out of face-to-face contact. Building employee trust and loyalty can be difficult, and when workers are remote, it can become even more difficult. It can also be difficult to train, recruit, and retain top talent. 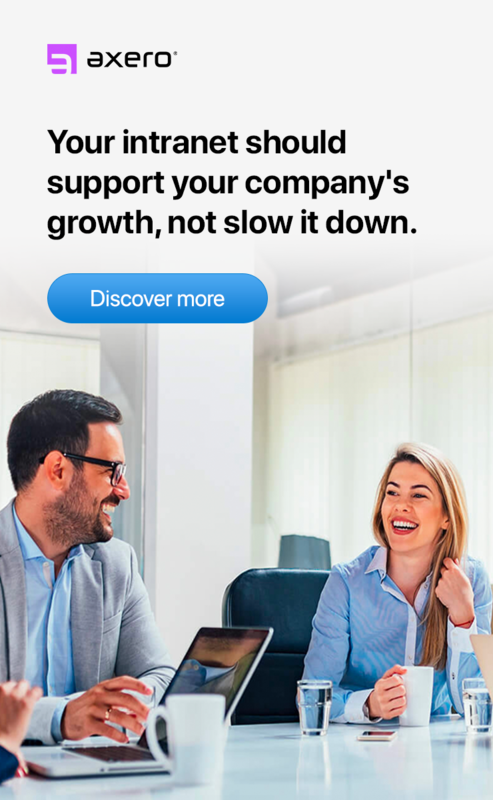 That's why using social intranet software that harnesses the power of collaboration and information sharing -- whether it is ideas, announcements, questions, feedback, or insight -- is essential to smoothing out concerns, offering necessary coaching and support, and accelerating growth from hiring new workers. 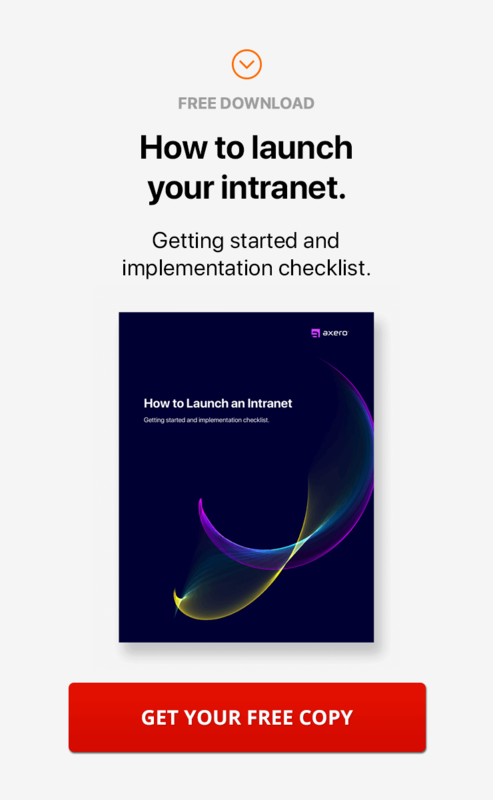 An HR intranet is excellent for sharing typical HR documents, ranging from health insurance documents, scheduling, contact information, and training manuals. By putting this information online, your employees can self-serve and access them whenever they need to, all from a centralized location. No longer will you be picking up the phone and answering the same question over and over again. Just point them to the page where they can find the information they need. One of the immediate benefits of an HR intranet is that you can connect employees with other employees (and HR), without any restriction of geographic location. This allows HR departments to expand the talent pool beyond your immediate physical location and hire with fewer restrictions, focusing primarily on attitude, traits, talent, and skill. Furthermore, as freelancing becomes more of the norm, workers want more flexibility in where and when they work, whether it is due to their lifestyle choices or other responsibilities. Because of this, talent may often look for flexible work schedule options and are more receptive to companies that offer work-from-home options. Onboarding new employees costs money, and companies are always seeking to train new staff well and affordably. With an HR intranet, you can accelerate the return on investment (ROI) of your hiring investments by speeding up the onboarding time for new employees. New employees can have access to videos, documentation, and communication tools within a centralized location. Ultimately, you can bring new employees up-to-speed faster. 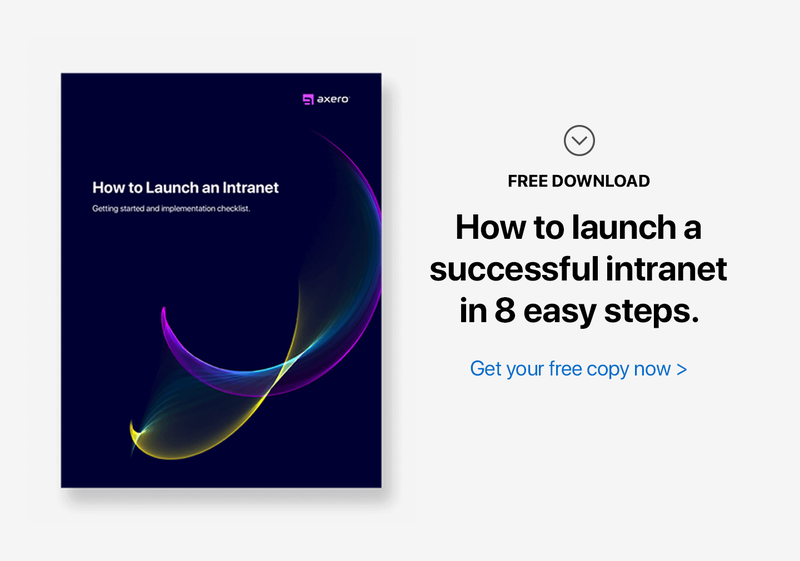 Each new hire is different, and while standard HR onboarding processes can be the same, an HR intranet allows management to offer a customized intranet onboarding process affordably and fast. You can enable new hires to learn at their own pace and also continuously by making resources available online and beyond the initial hiring phase. It helps new employees feel connected to other new employees, and it also connects them with seasoned staff. The power of an HR intranet can be felt by examining the difference between personalized insight and experience gained on the job versus just learning from a series of static data reports. It offers you the opportunity to tap into the collective knowledge of your workforce and then share that knowledge in one centralized location. Anyone can access the information from any location worldwide, while removing common obstacles many companies experience (like easily finding the information they need to do their job). Companies that use an HR intranet discover that their new platform becomes the hub for sharing best practices and day-to-day tasks. Employees can quickly share insight gained from an experience, allowing peers and other employees to adapt quickly without having to reinvent the wheel. It can have a large impact on the way employees and businesses operate, as employees are in-touch daily, removing previous communication barriers and speeding up the flow of information. Project management and project collaboration are also enhanced, as you can leverage the knowledge sharing across departments. Business thrives on relationships, whether it is between a manager and an employee, employee to employee, or with partners, vendors, and customers. Building relationships is dependent upon communication ... and the better the communication, the better the relationship. What do you need to have good communication within an organization? Well, there are several factors necessary to facilitate excellent communication. Strategy - You need to have a strategy in place to encourage open dialogue, where you can pay attention when communication is failing, blocked, or if it needs clarification. Transparency - There must be a level of transparency and open sharing and collaboration for employees to feel at ease with employer decisions ... and to fully engage within the company. Ownership - You need to give employees ownership to take the initiative in solving problems within the company. An HR intranet enables HR professionals to communicate company values, goals, and important concepts and guidelines to new and existing employees easily and comprehensively. They are able to tie corporate values into concrete business goals that employees can easily identify with and understand based on the knowledge that is shared. Sharing corporate values and making it easy for employees to search and find critical knowledge is essential to collaboration, especially when companies have a geographically dispersed workforce, are undergoing swift business change, or have a lot of employees that need access to knowledge and expertise. Employees often collaborate best when learning is unstructured. 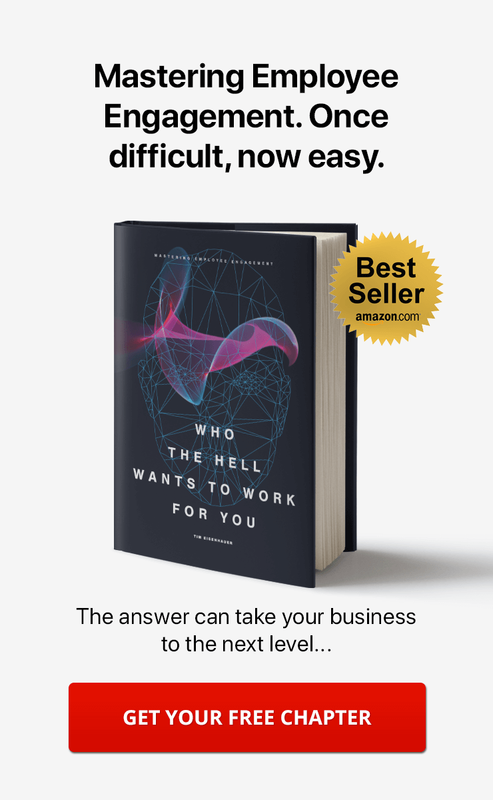 In fact, in a study conducted by Aberdeen in 2013, researchers discovered that as high as 51% of the learning that occurs in organizations is unstructured, where employees search for knowledge on their own instead of following traditional or prescribed courses. When a company uses an HR intranet, employees have more freedom and accessibility in finding the information they need. They can also brainstorm ideas with their peers, solicit feedback and answers to questions from relevant experts, and take action to solve problems faster. Within a social intranet software platform, your employees can interact quickly, share information, ideas, and insight without getting lost in email strings or needing conference calls and on-site meetings. This type of collaboration is highly suitable for companies with global workforces, however, any type of company can benefit from its use. Imagine that any of your employees can create an online workspace and invite relevant peers to participate in discussions, share information, view documents, and answer or ask questions. When necessary, you can easily add a member of another department, a partner, or vendor to the discussion or workspace. The sheer speed of solving problems or working on projects becomes an asset of your company because it encourages collaboration. Using an HR intranet can lead to dramatic improvements in the communication, efficiency, collaboration, and productivity within your company. Give your employees integrated tools that fit with their online lifestyles, without compromising quality and still maintaining standard business practices and corporate guidelines.